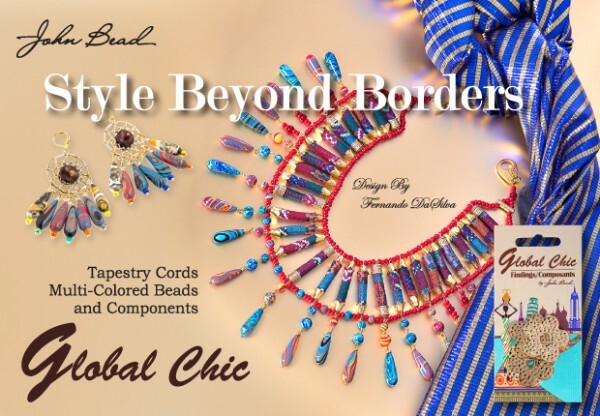 The desire to explore distant lands and to experience cultural diversity is the inspiration for our LATEST product line called Global Chic. Many of us want to feed our adventurous spirit. We want to stay connected to our urban reality without losing a sense of ethnic authenticity. Instant online communication and visual sharing allows people to feel like they belong anywhere in the world. People discover that citizens from different nations appreciate similar colors, flavors and aesthetics. Creative Directors and head designers from the main French and Italian fashion houses are taking inspirations from a variety of cultural groups and lands to create patchwork designs. Unswept landscapes are the background for vibrant browns, olives, oranges and yellows. Floral landscapes and natural backdrops are creating expansive views of the world we live in. Old world tapestry has been reintroduced in fashion with substantive decorative embroidering as seen on long ponchos, dresses, bracelets and leather goods. Soft leather, gold hardware, multi colored beads, tassels and fringe highlight the goddess, gladiator and soldier attitude. Cultural prints, feathers and First Nations looks are being highlighted by American fashion brands like Ralph Lauren and Diane Von Furstenberg. 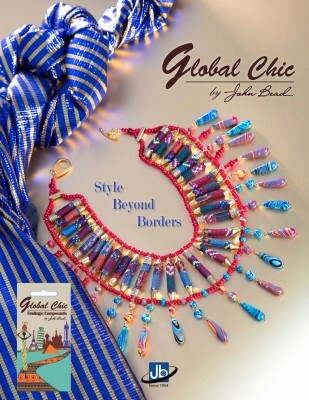 For John Bead, this urban tribal trend has been translated into a range of products, which are easy to wear, organic, sensuous, colorful and modern. This juxtaposition of ideas and diversity is what we believe will inspire designers and hobbyists to create wearable art. We have a new catalog on our website allowing you to see the entire collection.